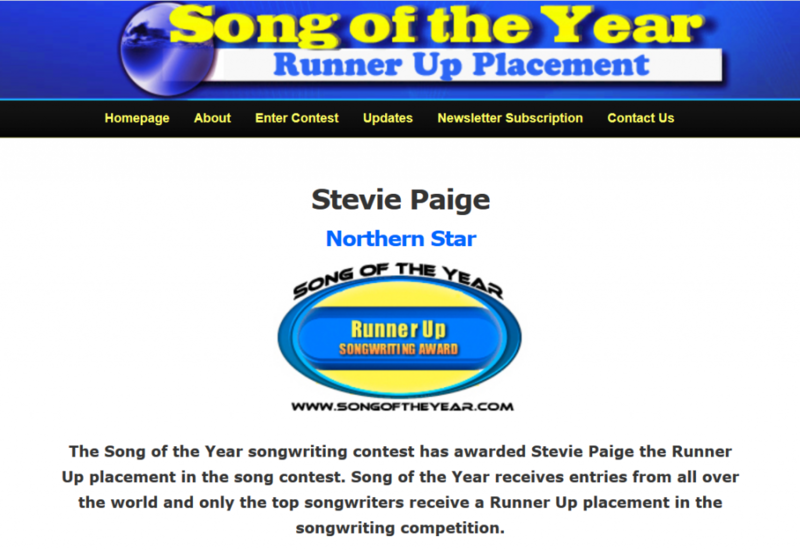 I am pleased to be able to tell you that the first two releases from our new studio (self-produced and recorded) have both earned songwriting awards. All words and music by Stevie Paige. 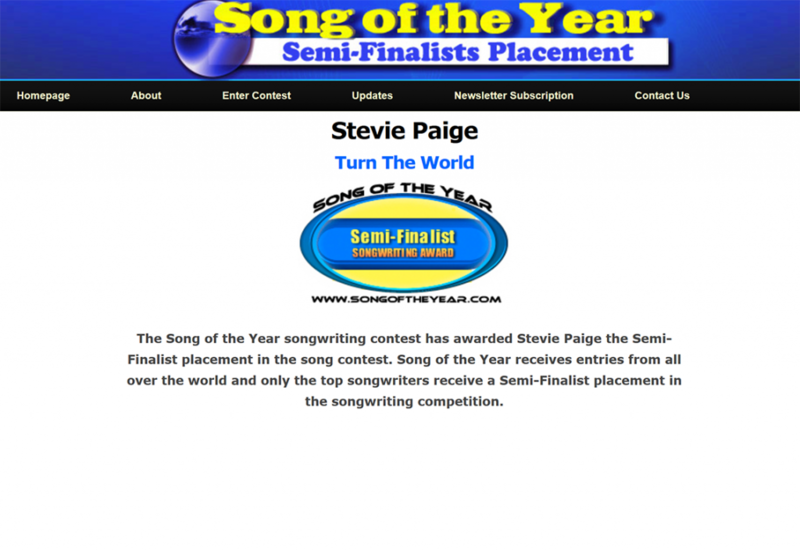 Vocals, Guitars, Bass, Keyboards, Percussion, and Drums by Stevie Paige. Mixed by Chris Bailey and Stevie Paige. Produced by Stevie Paige and Chris Bailey. ← Previous post:End of year.